On the eve of the first Scottish parliament in three hundred years, Edinburgh is a city rife with political passions and expectations. Queensbury House, the home of Scotland's new rulers, falls in the middle of John Rebus' turf, keeping him busy with ceremonial tasks. That quickly changes, however, when a long-dead body is discovered in a Queensbury House fireplace, a homeless man throws himself off a bridge - leaving behind a suitcase full of cash - and an up-and-coming politician is found murdered. The links between the three deaths lead Rebus to a confrontation with one of Edinburgh's most notorious criminals, a man he thought he'd put in jail for life. Someone's going to make a lot of money out of Scotland's independence - and, as Inspector Rebus knows all too well, where there's big money at stake, darkness gathers. 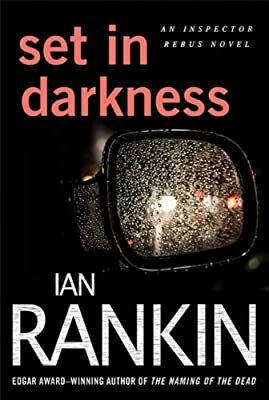 Set in Darkness is another chilling and intelligent crime novel from master of the genre Ian Rankin.